Could you spare 5 minutes to write SDBIF a review? They help us stay a Top Rated Non-Profit which helps us with grants and sponsorships. We will be featuring some of the reviews on Facebook in October. Thank you!!! 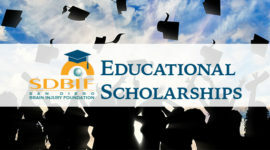 Welcome to the SDBIF website! Here you can find resources for brain injury survivors, caretakers, family, friends, students and professionals. Thank you for visiting! The more that is donated, the more scholarships we can offer, which means more students will have help on their journey to recovery from brain injury! Can you spare a few minutes to write SDBIF a review? This will help us remain a top-rated non profit, which in turn helps us secure grants and funding. Thank you! The largest gathering of the brain injury community is just ahead...will you be there? Register or create a team to make sure you will be there! SDBIF provides very helpful meetings every month, sometimes with lecturers that I personally had during my rehab therapy at Sharp hospital. They also provide many opportunities for brain injured people to play adaptive sports, and have various groups to join. 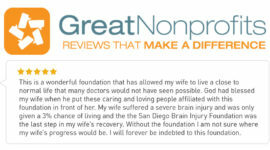 SDBIF provides outstanding service to the brain injury survivors in San Diego County along with support to caregivers. We are fortunate to have them right here in San Diego! Very informative, courteous and helpful organization! Appreciated their resources, creativity and willingness to listen/understand. Unfortunately, there is a definite shortage of resources and understanding in the area of traumatic brain injury. SDBIF is singlehandedly working to dispel misconceptions around TBI, educate and inform and advocate for a misunderstood and sorely underserved population. Thank you for the work you do, we are so very grateful!! Helping people with new and chronic challenges find resources and see around corners. SDBIF creates a supportive environment with many opportunities for interaction and education to help people understand and get perspective on brain injuries and the resulting challenges to survivors and loved ones. SDBIF helped us so much when my husband suffered a massive stroke. We attend the presentations which are interesting and informative. More than that, it’s good to be around people who also have the same experience and are dealing with brain injuries. 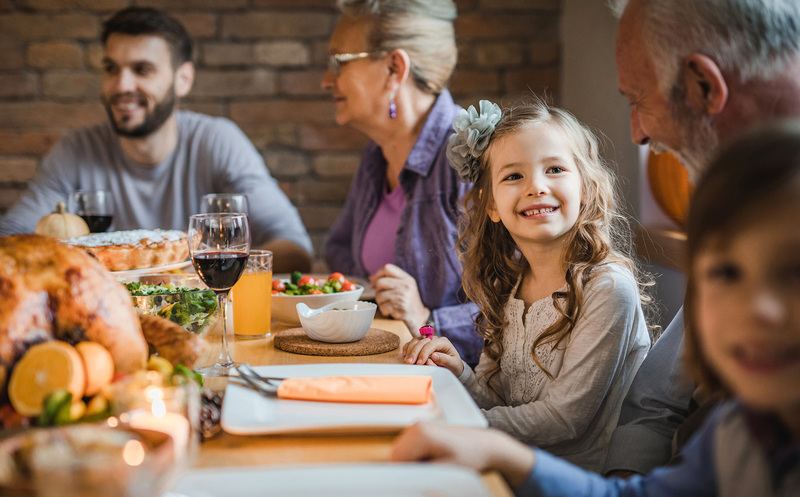 SDBIF has created a community of caring support for us. I have been involved with SDBIF as a professional in the field of brain injury rehabilitation off and on for the past 23 years and I have watched it evolve into a spectacular organization that I am proud to be affiliated with. To paraphrase a famous quote, never have so few done so much for so many with so little. No need of a survivor or family is too little to be addressed in a personal and cutomized manner. I consistently refer my patients and families to these good people. This is a wonderful foundation that has allowed my wife to live a close to normal life that many doctors would not have seen possible. God had blessed my wife when he put these caring and loving people affiliated with this foundation in front of her. My wife suffered a severe brain injury and was only given a 3% chance of living and the the San Diego Brain Injury Foundation was the last step in my wife’s recovery. Without the foundation I am not sure where my wife’s progress would be. I will forever be indebted to this foundation. We happened upon this fine organization a few years ago and have assisted them with mailings and other things. We are impressed by the caring folks who work so tirelessly for the many people they are helping in so many ways. It is hard to imagine a more worthy group. The resources provided by the San Diego Brain Injury Foundation fill the gap in a survivor’s life after release from rehabilitation. These services make the difference between successfully adjusting to life after their injury and isolation at home. 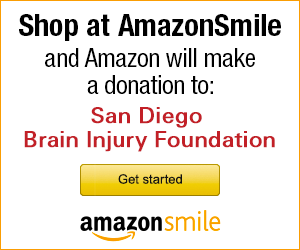 San Diego Brain Injury Foundation has helped me find the resources I need to assist me in finding help as the caregiver and for my daughter who had an accident 15 years ago. The meetings they have once a month at Joyce Bearch are very helpful, they bring different speakers with a variety of themes. Susan and Stephanie will answer all your questions. Thank you for having a this free service for the community. My son recently had a TBI and the SDBIF has been there for invaluable support, information, and hugs. Susan Hansen and her team have been so engaging and helpful. She has taken the time to respond to all my emails and encouraged my son in his recovery. I find the monthly seminars in Hillcrest and Encinitas very useful; what I have learned about TBI through this amazing Foundation has been critical in my son’s recovery. Thank you, SDBIF!! In 2001 my husband had a brain injury. We saw many doctors but felt like we were on a bicycle with no seat and no handlebars! Then we found San Diego Brain Injury and became involved. 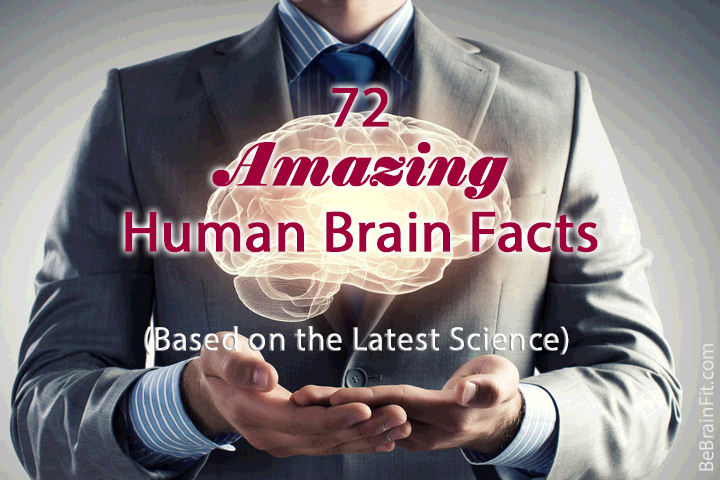 There is a huge variety of various ways a brain can be injured and you will hear honest testaments from those attending the monthly meetings. Each life of the person, their families, and caregivers are all touched in numerous ways. San Diego Brain Injury reaches out to those it knows about and provides informational help and suggestions. I would suggest if you are feeling like you’re on that no seat/no handlebar bike that you reach out to this valuable grass roots organization. 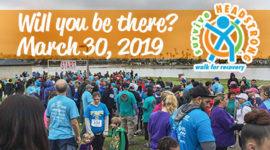 San Diego Brain Injury foundation has provided excellent education and support to numerous TBI survivors and families with whom I have worked over the past 40 years. I applaud their tireless dedication and ongoing high quality services. San Diego is fortunate to have this organization as a resource. In the wake of our daughters brain injury, we were absolutely unsure of what was to come for her. The SDBIF stepped in prior to her discharge to educate us on brain injuries and their resources. We had a unique opportunity for our daughter to attend the SDBIF Brain Injury Learning Center. She is thriving. All of the staff are interested in the best interest of the clients they serve and do all things with loving hearts. I am indebted to the SDBIF and often refer people for services or simply to volunteer. Thank you SDBIF. The San Diego Brain Injury Foundation provides hope, support and a community to San Diego’s brain injury survival population. The work they do makes a difference in many lives and families.